Santa Clarita City Council approved moving forward with plans to extend Dockweiler Drive to 13th and Arch streets at its meeting Tuesday with a 3-1 vote. 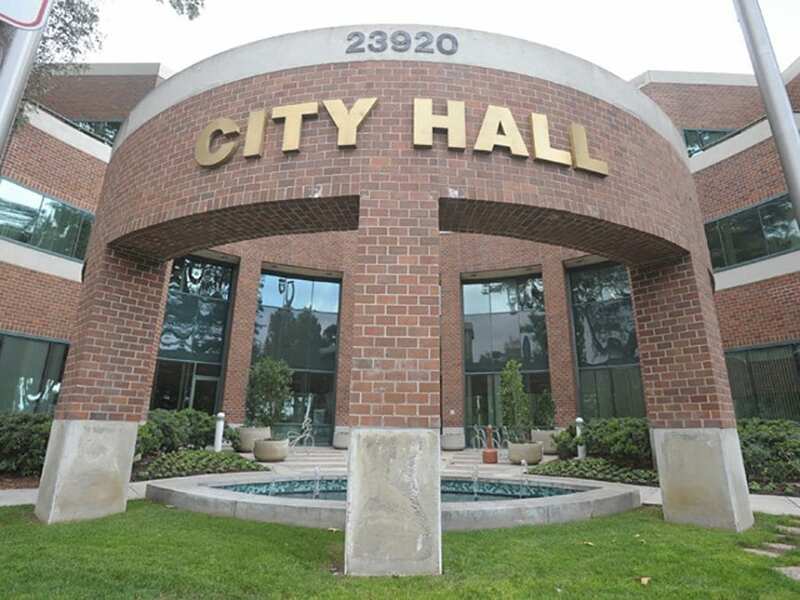 Santa Clarita City Councilman Cameron Smyth was the lone no vote, while Mayor Laurene Weste recused herself from the discussion as a property owner directly impacted by the proposal. The project named Dockweiler/Lyons is aimed at reducing congestion on Newhall Avenue, and would create a 0.67-mile roadway connecting Dockweiler Drive to Arch Street and the existing 13th Street at-grade rail crossing at Railroad Avenue, city officials said. The improvements will be initially built as a two-lane roadway with the intent to expand to a four-lane, a 12-foot raised landscaped median, a 13-foot sidewalk and 5-foot bike lanes, as the need calls for expansion, according to the plan’s approved Environmental Impact Analysis. There is already an approved 0.64-mile extension of Dockweiler Drive as part of a project by The Master’s University that the roadway would also connect. Los Angeles County Fire Department Battalion No. 6 Chief Keiji Seta said current conditions at 13th Street are safety concerns for first responders. “From a fire service perspective, a secondary egress and access point would help us provide service to the Placerita Canyon,” he said. The proposed 0.67-mile road would run parallel to the existing Railroad Avenue in the Placerita Canyon area. Dozens of members of the community, including students and staff of The Master’s University, spoke out voicing support and opposition. Placerita Canyon resident Dawn Zirbel said the new developments would change the quality of equestrian life in the area. “We don’t need 1,500 more cars going through our neighborhood,” she said. “We don’t have sidewalks or gutters, we don’t want those things. That roundabout is going to kill somebody.” David Wismer, a senior at the university, and Bill Bolde, executive director of community relations and career services at TMU, said the extension would benefit the college. In response, Councilman Cameron Smyth said he was thinking about not building the road today, asking, “But in the future, will we need it?” Smyth said he “really had concerns” when he went to Dockweiler Drive to study the proposed improvements. “I’d like to at least explore, if possible, (another) option,” he said. Smyth differentiated his concerns, saying he “genuinely didn’t believe” the extension would have a visual impact on the canyon. “The question really is, on 13th, and the impacts there on the crossing,” he said. Smyth said a proposed Market Street alternative extension seemed better in emergency situations than the crossing at 13th. Councilman Bill Miranda said although he had concerns about the residences of Dockweiler Drive if the extension were built, he still believed the road was necessary. Councilman Bob Kellar brought the motion to approve the city staff’s recommendation, saying it wasn’t possible to make everyone happy in situations like this, although he said, “13th Street does not thrill me at all.” Mayor Pro Tem Marsha McLean wanted to move forward with the plan, but also looked forward to the potential for more input in the process. The current crossing at 13th Street represents a potential hazard, she said. In a meeting with The Signal on April 4, the city cited traffic studies that justified the need for a project to keep up with anticipated growth. City Manager Ken Striplin said circulation needs and traffic reports would be the ultimate reason why the project was necessary. The next step in the project will be to submit an application to the California Public Utilities Commission to update the 13th Street rail crossing. The design of the roads, and the proposed roundabout, would then begin and be set for completion in the next couple of years, Striplin told the Signal last week.